Guests of Calabash Grenada can indulge in the luxury offered by the resort knowing that great effort is put into sustainable tourism through Green Globe. Green Globe is the global certification for sustainable tourism. Its members save energy and water resources, reduce operational costs and promote environmentally friendly ethics. Calabash Grenada has developed and implemented a long-term environmental management system to continually reduce the usage of water and energy and to reduce waste. The resort’s Green Team facilitates and maintains their sustainability strategies in accordance with the company’s vision to be a leader in green initiatives. Energy goals are monitored and benchmarked, and the resort is investing in solar power to provide electricity for several areas around the property, including its hot water system. Guests are invited to join local environmental and community related activities, such as Pack for a Purpose, a program where guests of the resort are asked to save a little space in their luggage to bring in items to donate to the island’s children’s homes. A waste sorting system is in place, composting is done within the complex and nurtures the resort’s own lush gardens and the resort also ensures that eco-friendly products are purchased, where possible, and local suppliers are given preference. The resort is due to commence its multi-million dollar renovation project in August to ensure the boutique resort remains at the forefront of the luxury tourism market with sustainability being a major priority. 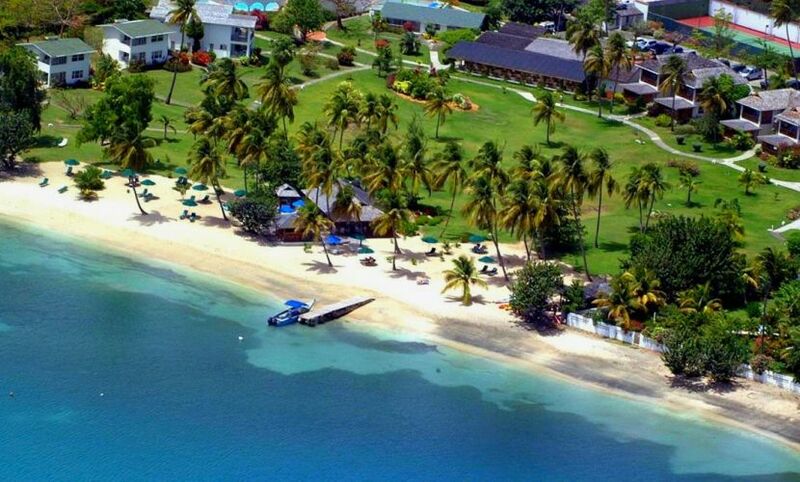 Widely renowned as the most exclusive luxury hotel in Grenada, Calabash Grenada features 30 suites delicately arranged around 8 acres of Eden-like gardens facing the white sands of L’anse Aux Epines beach. The resort is proudly home to two of the best restaurants in Grenada, Rhodes Restaurant and Bash Restaurant by Mark B, as well as the Heaven and Earth Spa overlooking the bay. The resort’s suites are elegantly designed each with LCD flat screen televisions, DVD player and iPod docking station, king size beds dressed in the finest Egyptian cotton sheets, Elemis Skincare amenities, mini-bar, iron, ironing board, hairdryer, complimentary Wi-Fi access, safe, coffee/tea facility and private patio or balcony. Some suites feature a private pool. Calabash’s guests also enjoy the luxury of two tennis courts, fitness center, ScubaTech Dive and Watersports Centre and the Cala-Boutique. Nightly rates range from US$310 – US$895 per room, based on two people sharing one suite from 15 June – December 20, 2014.